If you are facing criminal charges, you may be thinking of trying to handle the matter alone—especially if this is your first offense or you know that you are guilty of committing the crime. However, this would not be a smart decision, and the consequences could go far beyond what happens in your criminal case. You may not realize that a guilty plea—even for a misdemeanor—will result in you having a permanent criminal record. This can have huge consequences in your life, such as your ability to obtain a job, a professional license, or citizenship. You do not want to risk your future by not hiring an attorney. Understands the law. Criminal law is a very complicated area of the law with many statutes, court decisions, and constitutional rights that could apply to your case. This is true even if you are being charged with DWI or a traffic violation. You cannot hope to raise all of your defenses without an experienced attorney who understands the laws and defenses that could apply to your case. Knows the procedural rules. An attorney will know the criminal procedural rules that apply to your case which govern the pleadings you have to file in your case, the proper form these pleadings must be in, and the time periods for obtaining information and filing motions in your case. If you fail to follow these procedural rules, some of your defenses may not be heard or you could miss important deadlines for raising them. Conduct an investigation. The prosecutor has the police and other investigators who can help them build a strong case against you. You need an experienced attorney who can conduct a thorough investigation of the facts of the crime you are being charged with, examine evidence, and interview witnesses that could be helpful in raising your defenses either on his own or by using his own investigator. Hire experts. 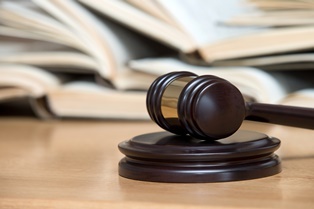 In some criminal matters, you may need to hire an expert witness to testify on your behalf. Depending on the facts of your case, you could need an expert to challenge a breathalyzer test, challenge DNA findings, to research prosecution witnesses, or much more. An experienced attorney will have a network of qualified experts that he can turn to if your case requires it. Challenge evidence. The police may not have followed the laws and procedures regarding the collection of evidence against you. An attorney will be able to spot these issues and can file a motion to suppress the illegally obtained evidence. If the prosecutor is unable to use vital evidence that proves your guilt, the charges against you may be dismissed or reduced to a less serious offense—even if you are guilty. Provide you with a reality check. Once your attorney has investigated the criminal case against you and your defenses, he will be able to give you a realistic evaluation of the possible outcome of your case. This can help you make an informed decision about whether to take your case to trial or enter into a plea agreement. Negotiate a plea agreement. If your attorney and you decide that entering into a plea agreement is in your best interests, he will be able to enter into a more favorable one than you could most likely receive on your own. He will be able to use the results of his investigation and his knowledge of the law to persuade the prosecutor to reduce the charges against you or your sentence. Formulate a sentencing program. Your attorney may be able to help you obtain a sentencing program that avoids jail time and helps you with the underlying problem that caused your criminal problems. For example, he could arrange for you to enter a drug or alcohol treatment program or to perform community service rather than serve jail time. If you have been charged with any crime, the experienced criminal defense attorneys at Browning & Long, PLLC are here to discuss your specific situation and help you fight to get the charges dismissed or reduced to a less serious crime with fewer penalties. Call our office today to schedule your free case evaluation.